Gift someone you love these Charming 12 Red Roses with 1/2 Kg Black Forest Cake to steal his/her heart. Settle for an unique gift for the most special person in your life and send him/her this combo of Breathtaking 24 Red Roses with 1/2 Kg Black Forest Cake that marks its superiority at the first sight itself. 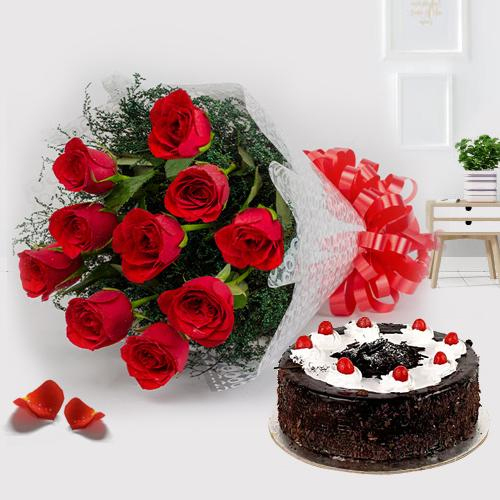 Enjoy your holidays with your loved ones and this gift of Fresh 24 Red Rose with 1 Kg Black Forest Cake packed with all exciting ingredients just to deliver fun.